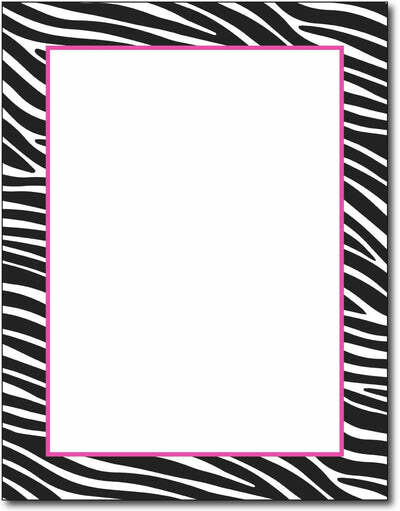 Zebra Border stationery features a fun black & white Zebra border around the entire page. It is accented by a fuchsia / pink solid border. This fun stationery is perfect for weddings, party invitations, and much more! Our Zebra stationery paper measures 8 1/2" x 11" and has a white printable area of 6 3/8" x 8 7/8". Zebra Border paper is made from a quality 24lb Bond paper stock that is Inkjet & Laser printer compatible.